I went into this fairly blind. I knew it was directed by Edgar Wright, who’s style had impressed me with movies like Scott Pilgrim Vs. The World and Shaun of the Dead, and well… who doesn’t enjoy a good car chase movie? Relative new-comer Ansel Elgort plays a young guy who works as a getaway driver for Kevin Spacey’s heist planner, and has to work with a variety of violent crims along the way. The thing is, he happens to have a bad case of tinnitus following an accident and resorts to playing his iPod to drown out the ringing (good way to make it worse, mate). This unusual spin on a tired formula has a likeable lead performance, a gentle slow burning love story involving a (very) cute waitress and several heart-in-mouth action sequences involving some damn fancy driving. So this delivers as a fast, fun and frantic ride but what does it bring to the table we haven’t seen before? The inclusion of music ranging from Motown to jazz is an interesting idea and has some of the action and gun fights even playing along to the tunes – albeit only marginally successfully. Thing is the music itself isn’t that memorable and when it really should have stood out, the other sounds, like gunfire and tires screeching, drowned out what is actually being played (including a near inaudible ‘Brighton Rock’ by Queen). Thankfully the script is sharp and often funny, and the central love story is engaging with Ansel good as the lead (although his frequent dancing and bopping gets a little silly). Also turns from John Hamm, a scene-stealing Jamie Foxx and of course Spacey are all on-par. Oh and Edgar Wright sure can film action, with lots of clever, ultra-stylish imagery making every sequence explode. So all in all this was a fun …ride, but what originality it tries to inject ultimately left this feeling overly familiar instead. One to check out though. 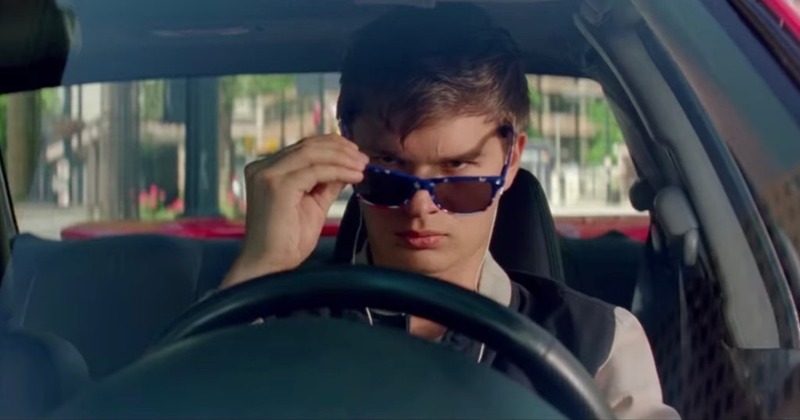 This entry was posted in Celebrity, Cinema, Comedy Reviews, Movies, Reviews, Thriller Reviews and tagged Ansel Elgort, Baby Driver, Edgar Wright, Jamie Foxx, John Hamm, Kevin Spacey by Craig M. Bookmark the permalink.